Bazaar of Hope @ CITTA Mall Happening This Weekend! Bazaar of Hope @ CITTA Mall this Weekend! Bazaar of Hope, what a name. With it comes a weekend of activities held at CITTA Mall organised by the Sunway Damansara Metro Lions Club. Happening this 21st and 22nd July 2018, the event is a collaboration with the sponsored LEO Clubs – Leo Club of Sunway Metro (O), Leo Club of Heriot-Watt Metro, Leo Club of IICS Metro (O) Malaysia, Leo Club of Metro Methodist College KL (O), Malaysia, Leo Club of SMK Bandar Utama Damansara 3 and Leo Club of SMK Seksyen 4 Bandar Kinrara. What is to be expected at Bazaar of Hope? 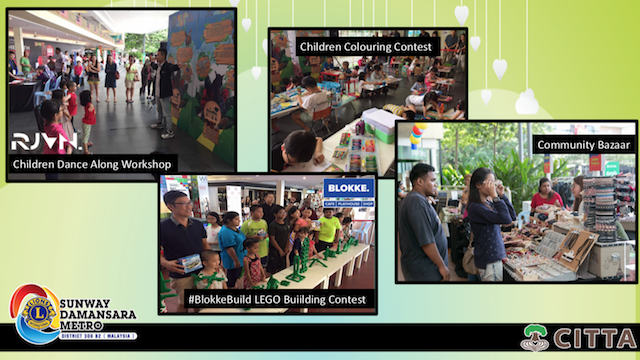 For starters, the two full days will be filled with a variety of activities, from hildren Colouring Contest, #BlokkeBuild LEGO Building Challenge, Community Bazaar, Zumbathon/Dancethon, to Children Dance Along workshop and even health checks for all! So many activities slotted at the Bazzar of Hope, CITTA Mall this weekend! 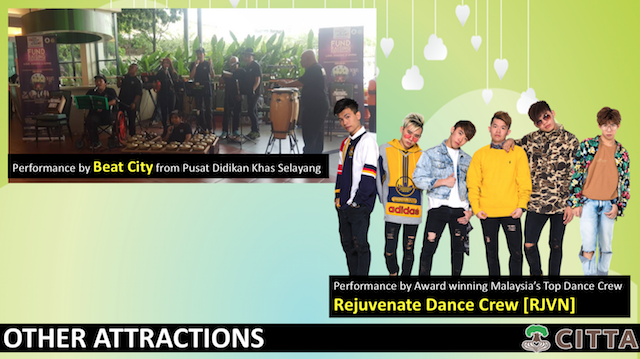 Be on the look out for the award winning Malaysia's top dance crew, Rejuvenate Dance Crew (RJVN) as they will be there performing their cool dance moves. IN fact there will be a special performance by Beat City from Pusat Didikan Khas Selayang as well! I am looking forward to this. Check out the tentative programme schedule listed below. What are you waiting for? 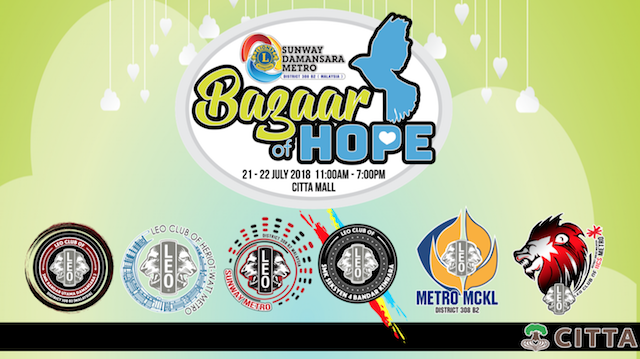 Block your dates and tag along your friends and families to the Bazaar of Hope event at CITTA Mall this weekend. I leave you with a short vid where the BOD of Leo Club of SMK Seksyen 4 Bandar Kinrara visited Trinity Orphanage bringing smiles and laughter to the beautiful children. More information and updates can be found on the Bazaar of Hope event Facebook page linked here: https://web.facebook.com/events/2331664200393513 . Be there!